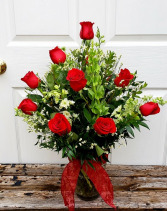 This garden mix of bright orange (shown) or hot pink sweetheart roses, white monte casino asters, and red hypericum is as sweet as they come! 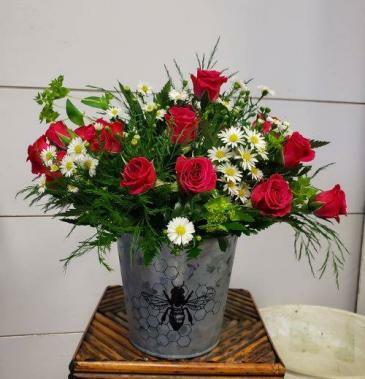 Flowers are arranged in a galvanized metal tin with a red heart. 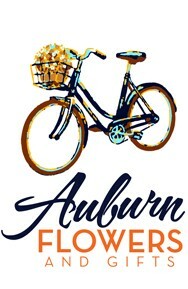 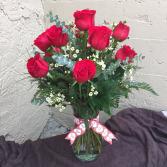 Please specify color preference in "Special Instructions" section during checkout if you prefer pink sweetheart roses!